Fans of reggae legend Bob Marley can now get his classic Exodus album on limited edition USB memory sticks and MicroSD memory cards. 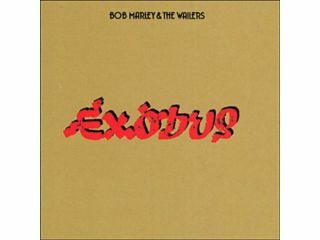 Island Records is marking the 30th anniversary of the original release of Exodus by reissuing the album in multiple formats, including a limited run of 4,000 USB drives and 2,000 MicroSD cards. These contain the original 10-track album, plus bonus tracks and concert video footage from June 1977's Ranibow Theatre performance. The USB memory stick and MicroSD card versions of Exodus can be downloaded onto a PC for copying to an iPod or other digital music player. Both the USB stick and MicroSD card versions are reusable. The USB memory stick and MicroSD card versions of Exodus are available now from £14.99.